A bid to secure a judicial review into the Jersey child abuse inquiry has been rejected at London's High Court. It was brought by Jersey senator Stuart Syvret and UK Lib Dem MP John Hemming, who say the law has been subverted by a "cover-up and political interference". But Lord Justice Richards, sitting with Mr Justice Tugendhat, said the attempt should be made through Jersey's courts. 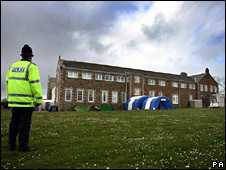 Detectives are investigating claims of child abuse in the island dating from the early 1960s to 1986. Three people have been charged in connection with their inquiries. The judge said he would leave open the question what to do once proceedings had come through the Jersey's courts - including the island's court of appeal. Justice For Families Ltd, of which Senator Syvret is a director and Mr Hemming the chairman, wanted independent judges and prosecutors brought in to administer any future legal action. They claimed Jersey may not meet the necessary standards of objectivity and impartiality, and that Justice Secretary Jack Straw and others "failed to enforce the rule of law" in Jersey. They argued that the UK Ministry of Justice has a "duty to maintain the rule of law in crown dependencies", of which Jersey is one. Mr Hemming, MP for Birmingham Yardley, said abuse cases need to be "dealt with properly, with transparency". Minister of State, Michael Wills MP, was named alongside Mr Straw as a defendant in the application. They opposed it on the grounds that it was "misconceived, unarguable and premature". When the application was lodged in October, Jersey's Attorney General, William Bailhache, said: "The courts of Jersey have been delivering justice week in, week out, for centuries.